TechCrunch points out that Apple today approved updates to two major iOS applications that some had feared would be affected by the new in-app purchasing rules that Apple announced in February. The new rules required that any subscription based services must also provide the same service via the in-app purchase mechanism which is subject to Apple's 30% cut. 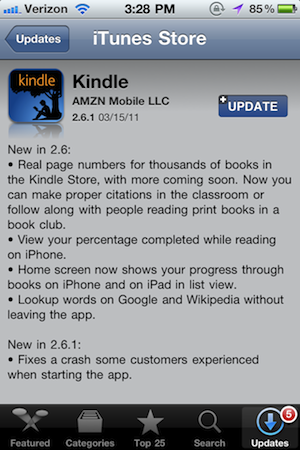 Around the same time, Apple stated that eBook applications would also be required to offer in-app purchases for their content. Apple even rejected Sony's Reader from the App Store for this very reason. Both of these restrictions generated concern about the future of popular apps such as Netflix and Kindle, which would be affected by a strict interpretation of the rules. Apple, however, has approved updates for both apps that went live today. 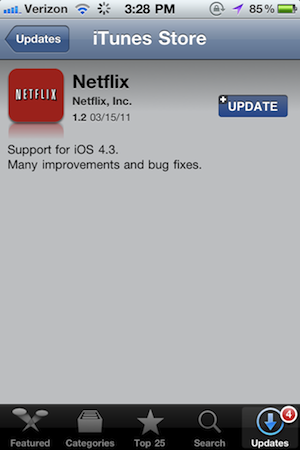 It's not clear if Apple's rules have changed or if Netflix and Kindle are being given any special treatment. Apple has made no further official clarification about the policies beyond the initial announcements. Update: Several have noted that Apple has given existing publishers until June 30th to comply with the new rules.